Fans of the long running TNT hit series Major Crimes got the news they've been waiting for since the Season 5 finale. 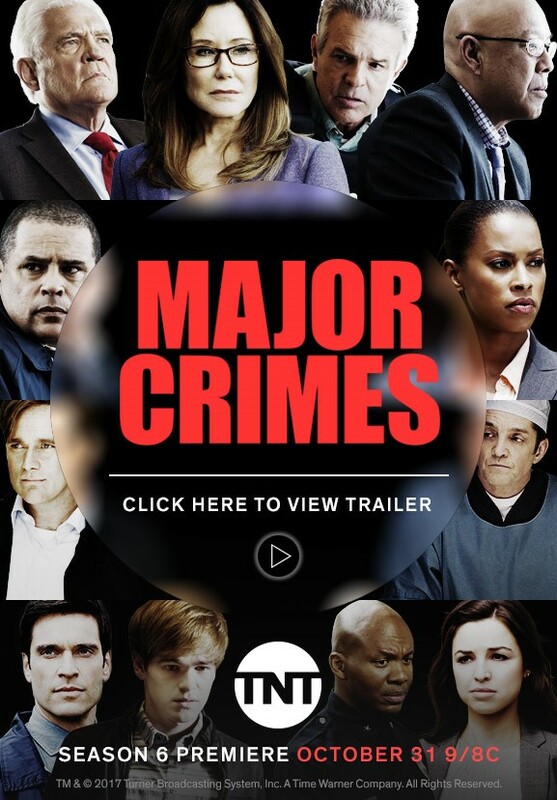 Season 6 of Major Crimes premieres Tuesday, Oct. 31 at 9 p.m. (ET/PT) on TNT. TNT's Major Crimes faces its three most challenging cases, struggling to solve mysteries mired in complex political conflicts having little to do with identifying and arresting murderers. As Cmdr. Sharon Raydor (Mary McDonnell) grows accustomed to her new boss, Assistant Chief Leo Mason (Leonard Roberts), the detectives find themselves questioning their faith in the rapidly changing priorities of the justice system and their ability to reason through difficult changes in their personal relationships. Finally, they must accept the necessity of risk, in all its different guises, as they prepare to face the inexplicable but increasingly undeniable return of Phillip Stroh (guest star Billy Burke). Major Crimes stars two-time Oscar® nominee Mary McDonnell, G.W. Bailey, Tony Denison, Michael Paul Chan, Raymond Cruz, Phillip P. Keene, Kearran Giovanni, Jonathan Del Arco, Graham Patrick Martin, Leonard Roberts, Jessica Meraz and Daniel di Tomasso.